All the easy Picross puzzles you could ever wish for! 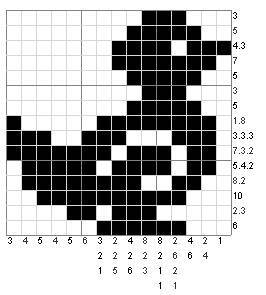 Click on one of the puzzle links below to play a picross puzzle! These puzzles are completely free for your own personal use. 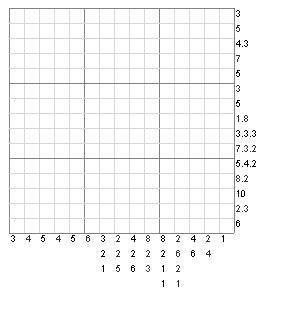 If you would like to license puzzles for your business, publication or website, please contact us at webmaster@picross.co.uk. Puzzle 1: Time to wake up! Puzzle 2: On the way to hospital.. Puzzle 4: Join the club! Puzzle 5: Time for a cuppa.. Puzzle 6: Pets at home. Puzzle 7: Can you face this one?! Puzzle 8: Let’s play ball! Puzzle 10: It’s all in the air! Puzzle 11: Growing on a tree. Puzzle 12: Who ate the cheese?! Puzzle 13: The sound of music.. Puzzle 16: We’re watching you! Puzzle 17: Out of the woods..